I always enjoyed the projects of my study (Mechanical Engineering) and the bigger the challenge, the more enthusiastic I got. I also think it is important to develop myself beyond my study and a Dreamteam seemed like an ideal opportunity to me. The Solar Boat Team of this year has challenged itself to get closer to the commercial market and is going to push the boundaries of solar-boats. 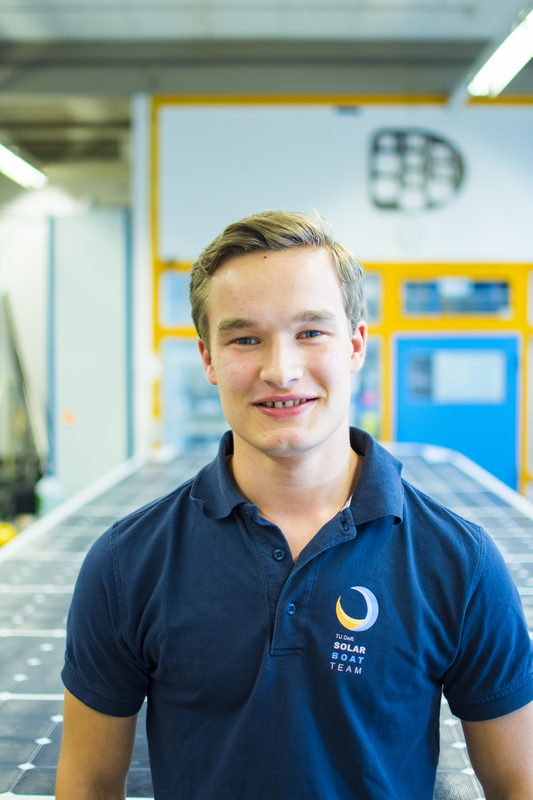 There is no better opportunity to develop myself, gaining experience and to contribute to sustainable innovations and that is why I joined the Solar Boat Team 2019. As a Hull and Body Engineer I am responsible for connecting the three hulls of our trimaran. The connections need to be strong enough to handle the forces of the open sea, but also need to be modular and easily assembled. Since we are the first year with a trimaran, we have to face a completely new challenge. But I am confident that with this team anything is possible.